Posted on June 24, 2014 . 6 Comments. I’ve been training with kettlebells since 2005. I’ve been training with firearms even longer. My experience with both led me to the conclusion that there are a lot of similarities between the two. During one of the breaks at a recent SFG Cert where I was assisting, I mentioned this to Pavel. He asked me if I would write a guest blog on that topic. In both firearms training and kettlebell training “the best do the basics better.” Training needs to be kept simple. Is what I’m doing repeatable in a stressful situation? Am I spending too much time figuring out what I’m supposed to do for today’s practice/training? Kettlebell and firearms training in one. Firearms skills have their own fundamentals: stance, grip, presentation, sight alignment, trigger control, recoil management, follow through, economy of motion, and self critique. In stressful situations, our fine motor skills deteriorate. So, we hope to have ingrained them through hours and hours of perfect machine-like practice. We do what we can to maximize gross motor skills and ingrain the fine motor skills. Trigger control being the fundamental most of us struggle with. It always happens at our facility in Denver. A new shooter is starting to get pretty good and is getting bored with basic drills. He moves on to more advanced drills without laying a deep foundation. He regresses. The shooters who spend more time on the basics are able to build a taller pyramid. Enter the technique called “dry fire” — squeezing the trigger of your firearm without a round in the chamber. To illustrate the importance of dry fire, consider the story of Dave Westerhout. Mr. Westerhout is known as one of the founders of the International Practical Shooting Confederation (IPSC) and a trainer for the Rhodesia Defense Force. In the late 1970s, ammunition was particularly scarce in the African nation of Rhodesia. This ammunition shortage was due in large part to how unpopular Rhodesia was politically. The native African population was disenfranchised and Rhodesia was breaking away from the British Empire. Other nations weren’t recognizing them as a nation and multiple trade sanctions were imposed. One side effect of these sanctions was an extreme ammunition shortage. Westerhout adapted to the severe ammunition shortage the only way he knew how: dry fire practice. He conducted experiments with two groups of soldiers. One would use live fire, the other dry fire. The results were impressive. The dry fire group was outscoring the live fire group. This convinced the leadership to adopt the dry fire practice for the entire force. Then, in 1977 at the first World Practical Pistol Championship, the Rhodesian team produced some astounding results. Dave Westerhout took the first place and another Rhodesian took the second, the Rhodesian team won the overall team event. An American took the third place. All of this happened when the United States was considered the dominant force in competitive shooting. All of this happened while Rhodesia faced an ammo shortage. How is this possible? Lots of dry fire! The advantages of dry fire are obvious. You can do it in your home quickly and easily. You are not driving somewhere and spending money on range time or ammo. You are getting a lot of repetition and working on the most difficult of all fundamentals — the trigger control. Anyone can squeeze a trigger. Anyone can align the sights. Can you maintain sight alignment through a smooth yet quick trigger squeeze? If not, dry fire! Start with what takes the least time and costs the least money. Add complexity later. Now, it should be noted: dry fire practice does not fully replace live fire training. It is a great supplemental training tool. There are certain fundamentals you just can’t practice without sending rounds down range. For example, you can’t practice recoil management. It’s hard to practice managing a gun’s recoil without feeling it recoil in your hands. You also can’t practice the follow through. In this instance, that means you can’t get a feel for how quickly you can get the gun back on target and send additional rounds down range (should it be necessary). All of that aside, you can practice the most difficult fundamental with dry fire training: the trigger control. A note from Pavel: Strength equivalents of dry fire are easy: greasing the groove with a light weight and practicing full body tension with no weight. Lifting a heavy weight is the equivalent of firing live ammo. The combined effect is deadly. Another similarity I noticed is that frequency trumps duration. Are you training only once in a while for a long dragged-out session that leaves you wiped out? Or are you training more frequently for shorter periods leaving you “stronger or better” than when you started? Your kettlebell instructor will teach you to look at your kettlebell training as practice. Practice the moves and learn how to generate tension. Ingrain the fundamentals so they become muscle memory. The best ability is “availability.” Are you “available” to train again in a day or two or did you go too hard today? If you are constantly pushing the envelope, you will miss practice sessions. In the long term, you’ll be stronger and more fit if you don’t train to failure and you leave stronger than when you started. You will trick yourself into doing lots of volume by doing short sessions with strength moves that are not to failure. Obviously, it’s necessary to push yourself once in a while. But after doing so, take it easy. Manage your recovery. Follow with lower volume and build back up. The same holds true in firearms training. It is very easy to burn out. Remember, practice doesn’t make perfect. Perfect, machine-like practice makes perfect. It’s better to shoot weekly for thirty minutes than twice a year for multiple hours. Shooting skills can be extremely perishable. Of course, if we have the time and money, we can get really good by attending weekend or even week-long clinics. But not all of us can or do. Even if we do, it’s best to keep sharp by frequent and perfect practice. Even shooting a little bit twice a month is better than once or twice a year for extended periods of time. Find a range with membership options and take full advantage of it. In almost all branches of the military and law enforcement communities there is a simple expression: you fight how you train. This means what you do in training you will do in combat or in a real-life situation. Don’t expect to do anything other than what you have already ingrained. If you are not yet able to do it under stress without thinking, then it hasn’t yet been ingrained. How does this apply to kettlebell training? Simple: the technique has to be so ingrained that you can flawlessly execute it even when tired. Otherwise, you are increasing your chance of injury. Specifically, you need to be concentrating during your training even on the small details. An example would be always parking the bell safely after a set, regardless of how tired you are. Make the mental effort to do so every time. That is just one example. There are others. Make sure every point of performance is perfect. Master the movement, weight and repetition will come. It’s a lot like the previously mentioned “the best do the basics better.” If you are always making sure you are practicing proper technique, it will become ingrained. Then, when you are doing your hard workouts (again, once in a while) or as some would say “doing battle with your kettlebell” the technique will be ingrained. You’ll be tired, but you’ll park the bell safely. You will be much less likely to hurt yourself. Did I mention how important it is to be “available” for the next workout? The final point I will make has been alluded to throughout the article. I have seen it a lot in both kettlebell and firearms training. Someone reads a few articles, watches some YouTube videos, or maybe even buys a book and thinks he knows it all. They don’t think they need an instructor. What they fail to realize is how valuable an instructor can be. You can’t easily watch your own technique. Even if you could (with mirrors or videos), it’s unlikely you’ll be able to correct it through mental cues and other techniques. Take the time up front. Invest the money early. Get solid instruction from a reputable kettlebell instructor who teaches the skills you are looking for, be it general preparation, competition, or something else. The same holds true in firearms training. You must begin with the end in mind. If you want to be a good target shooter, find someone who is or has trained target marksmen. If you want to compete in USPSA, IDPA, or similar shooting competitions, find people who have done so or who have a track record of teaching such competitors. If you are interested in being more prepared for realistic, concealed carry, self-defense situations—seek out instructors who have been there and done that. In most cases, the best instructors for this type of shooting are those with military and/or law enforcement experience who have been in these situations and used certain tactics, techniques, and procedures and have come out alive. There is a big difference between competition and tactical or self-defense training. You want instructors whose methods are proven in combat, not in theory. Train with an objective in mind. What is your goal? The best do the basics better. Have you mastered the basics yet? Frequency trumps duration. How often do you train? You train how you fight. Are you engraining good technique? Get an instructor! Are you qualified to teach yourself? 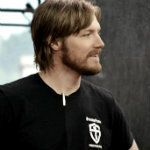 Eric Frohardt is an SFG Level I instructor. He was medically retired from the Navy after over eleven years of service and now lives in Denver, Colorado. Together with former teammate Sean Haberberger he owns and operates the BluCore Shooting Center and online gun, gear and ammo store BluCore Online Store. The BluCore Shooting Center has a full-service shooting center offering a gun store, gun range, and firearms training program. Their instructors are a mix of former Navy SEALs, Army Green Berets, Army Rangers, Delta operators, law enforcement SWAT officers, and competitive shooters. 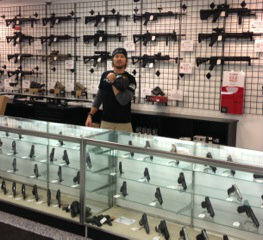 They recently opened a gun store in the Austin Texas area, as well. Excellent. I’m also a firearms instructor and couldn’t agree more. Noe, I appreciate your support but please make it more low key. What a great post the great articles and info u guys are putting out is outstanding really life changing. 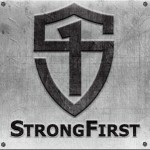 Simple and sinister was my intro to strongfirst and pavel and I’ve improved in training and live 10 folds simply great work and Mr. Frohardt great article and advice. Great article! The points that “The Best Do the Basics Better”, Greasing the Groove as being akin to dry fire, and Frequency trumps Duration are well taken! Thank you!